Another shot of my foot, this time will a little twitch. If you walk a lot, teach, work in hospitals, restaurants, or just like to be comfortable, then these are the shoes for you! 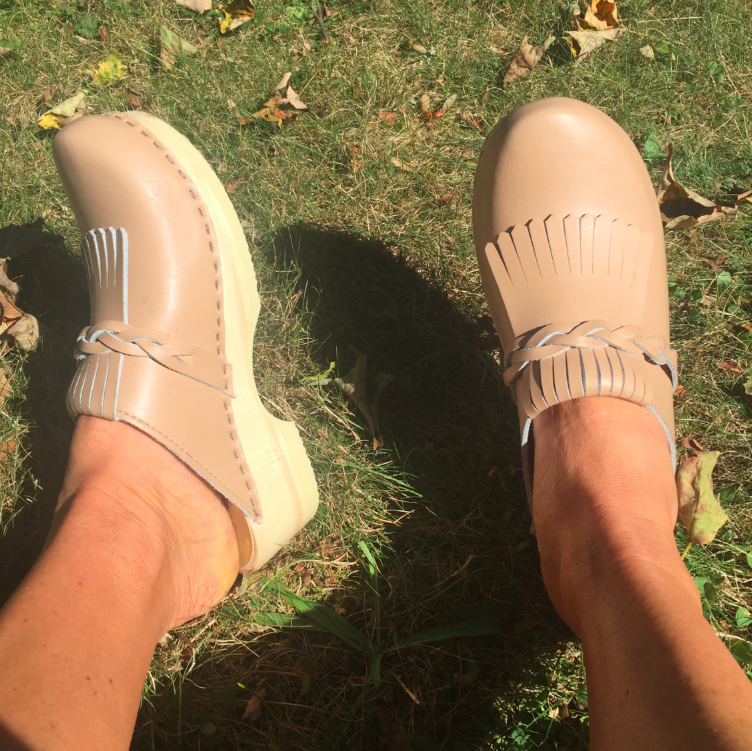 Dansko clogs are of the past, and a custom made for your foot is the way to go! 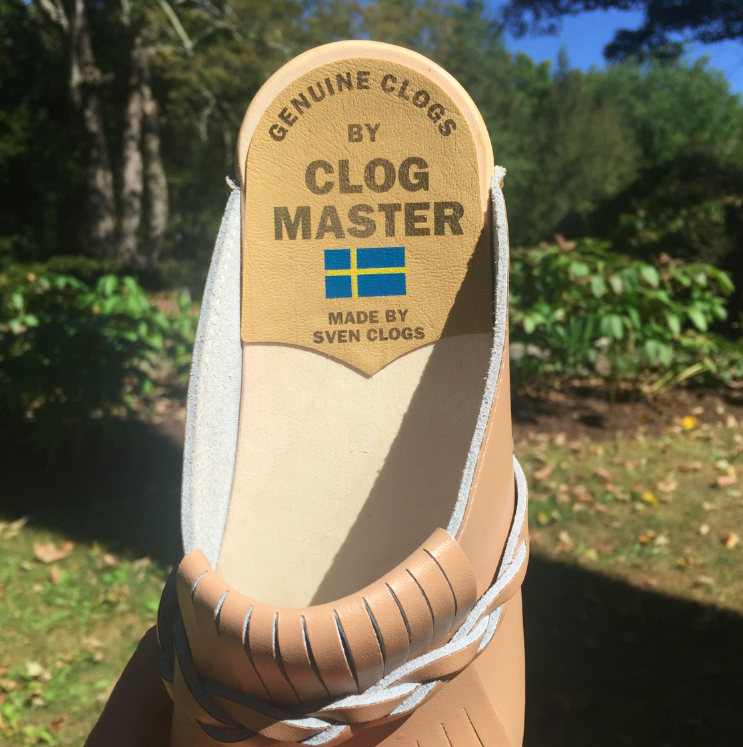 I think you should start a clog trend in NYC because these are really cool! 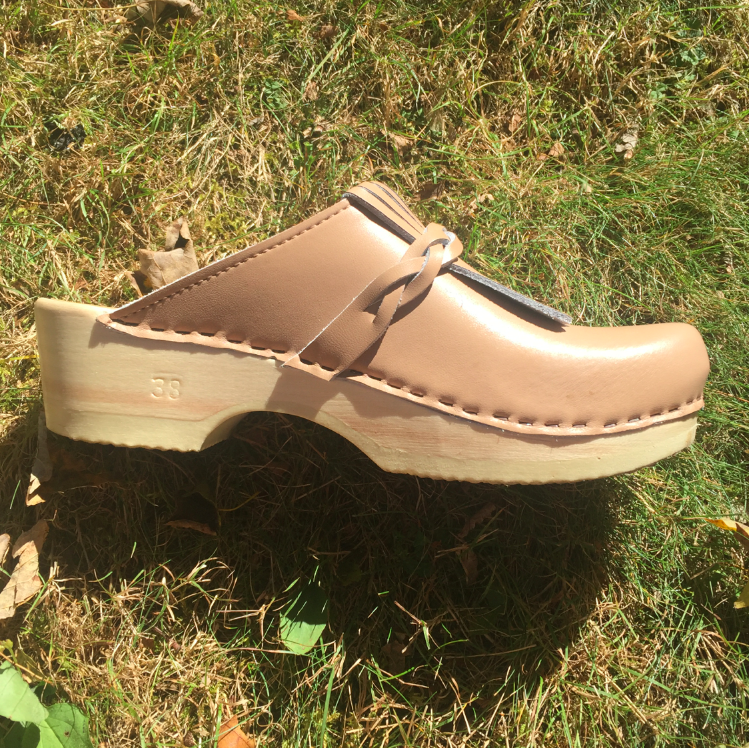 I *LOVE* clogs–I have serious clog envy right now. Are they lightweight? Do they slip off when you walk, or do they hug your foot in the right places? 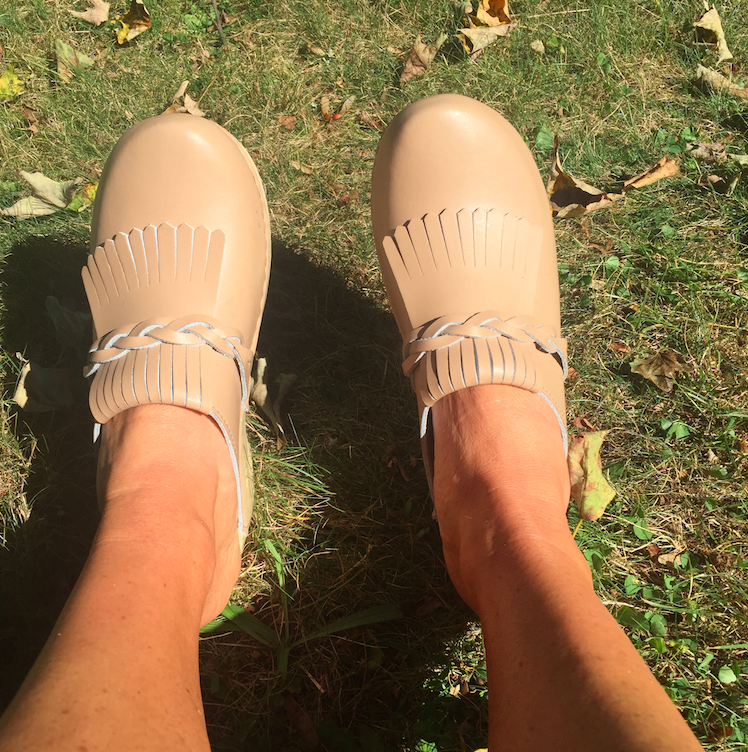 It is so difficult for me to find non-clunky, pretty clogs in a 5.5 that fit my skinny feet without sliding off or making calluses. When I do find them, I wear them until they fall apart, literally. 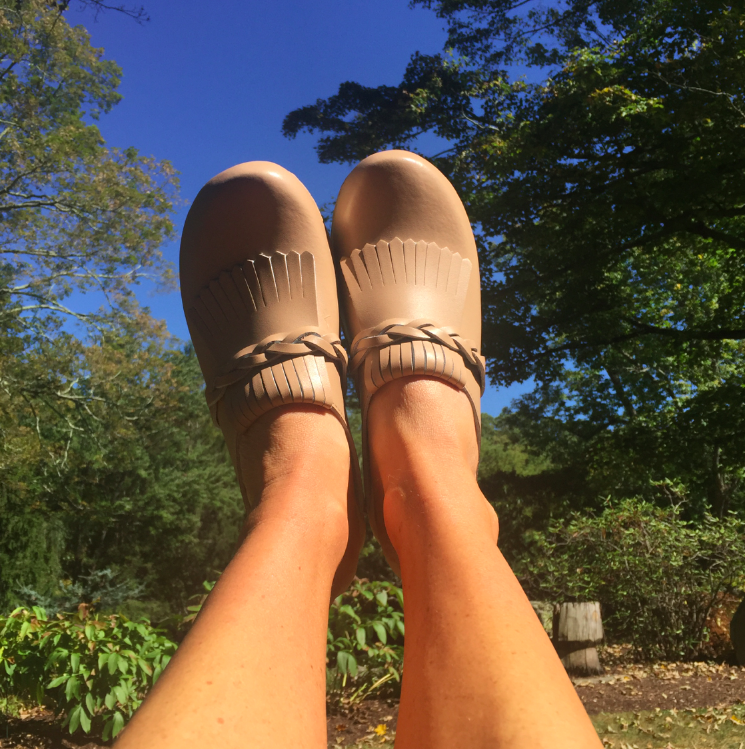 These sure look comfy and great on you; enjoy!